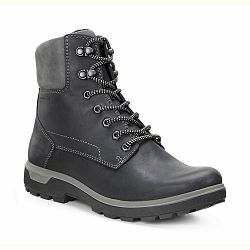 The grandma boot returns and is anything but dated. 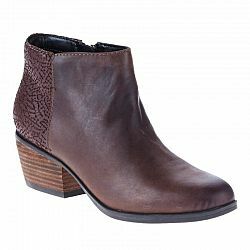 Clarks Collection Sahlin Sue Booties are the perfect partner for long skirts and cozy sweaters and. of course with your fave jeans! 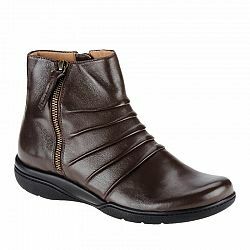 Clarks Malia Poplar Regular Shaft Tall Boots help you gain plenty of flexibility This tall, full-grain leather boot has a system of flex grooves in the outsole for flexibility that translates into more natural steps and less tired feet. The OrthoLite® foam footbed provides cushioning and shock absorption, while fabric lining offers gentle padding. Full-length side zipper and a pull tab allow easy entry. There’s a stretch elastic insert along the top for added give. Roomy, full-grain leather upper conforms to the foot. Custom-like fit accommodates calves up to 15". 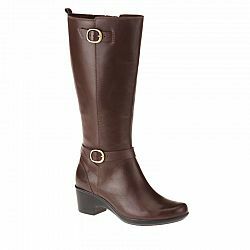 Clarks Malia Poplar Wide Shaft Tall Boots are made for walking with plenty of flexibility You feet will feel energized in this tall, full-grain leather boot! With its system of flex grooves in the outsole for flexibility, you will have more natural steps and less tired feet. The OrthoLite® foam footbed provides cushioning and shock absorption. Fabric lining offers gentle padding. Full-length side zipper and a pull tab allow for easy entry. Stretch elastic insert along the top provides give. Full-grain leather upper conforms to the foot for a custom-like fit. Roomy fit accommodates calves up to 16". 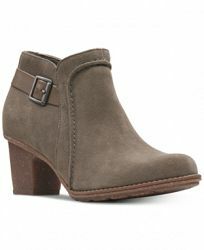 Clarks Kearns Blush Ankle Boots has cushioning and flex to keep you going and going This bootie is for keeps! The leather upper looks timeless with pleated detailing. The OrthoLite® footbed has lasting cushioning covered. Plus, it’s treated with an antimicrobial agent to help fight foot odor. The durable polyurethane / thermoplastic rubber outsole flexes with your steps, while a full-rounded toe box serves up plenty of wiggle room. Side zipper provides easy on / off. 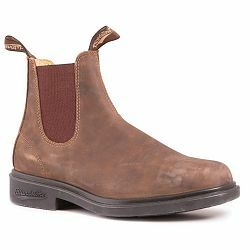 Clarks Gelata Italia Ankle Boots - effortless, modern style enhanced with cushioning technology Treat your feet to this chic bootie that feels as good as it looks. It’s built with Clarks Plus technology for extra cushioning under the ball-of-foot, as well as an OrthoLite® foam footbed for heel-to-toe comfort. You’ll love the mixed textures—leather with a crackled heel panel, full-grain leather with a crackled heel, or printed pony hair with a smooth leather heel. 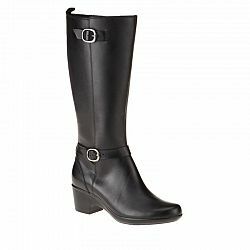 Complete with an easy side zip closure and stacked heel.